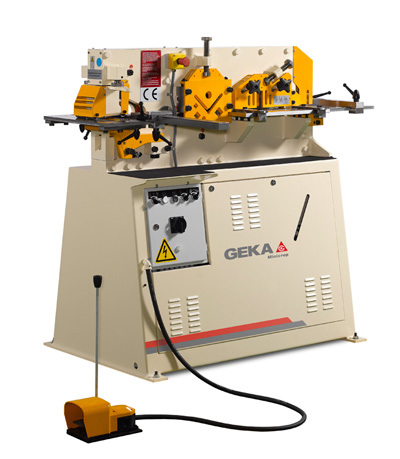 A full range of steelworkers, punching machines & CNC lines, designed and built by Europe's most popular manufacturer. 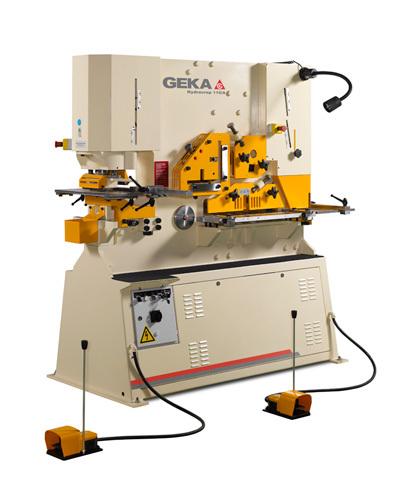 The GEKA range of steelworkers & punches are the most modern design on the market today. Practical design features include swan neck die bolster, distortion free shearing of angle & flat plate, and quick change tooling. Single cylinder, low cost, hydraulic Steelworkers. Powerful, compact, single cylinder models. Gooseneck style bolster. Quick change punches and dies. All models available ex-stock or with minimum lead times. Quick change punches and dies. Powerful, single ended punching machines. 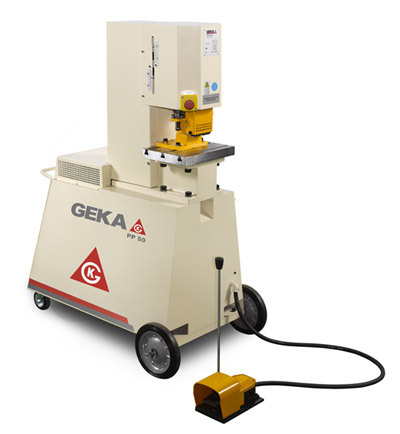 Powerful 6 station machines, including bending and vee notching.